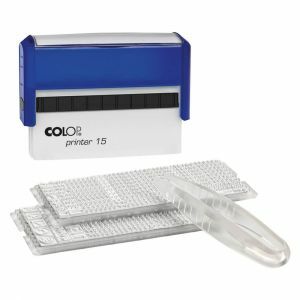 Colop self-inking DIY stamp kits contain all you need to create your own customised text, allowing you to change the text time after time. 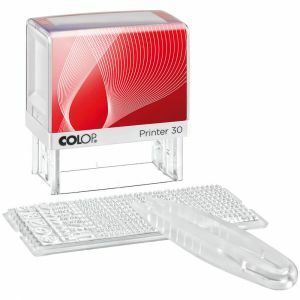 They are ideal for small business or a home office use. 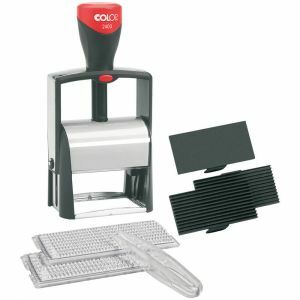 Small and handy self assembly self inking stamp. The overall size is 38 x 14 mm with up to 4 lines of text and 17 characters per line. 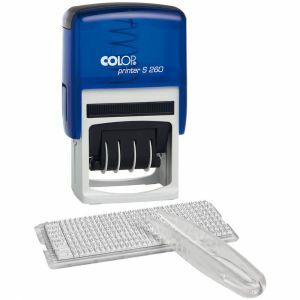 A popular size self assembly self inking stamp for addresses. The overall size is 47 x 18 mm with up to 5 lines of text and 21 characters per line. 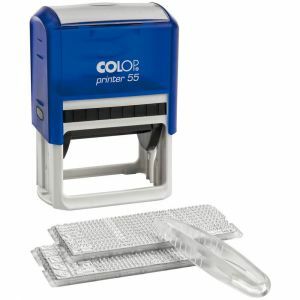 A larger popular size self assembly self inking stamp for addresses. The overall size is 59 x 23 mm with up to 6 lines of text and 26 characters per line. A larger size self assembly self inking stamp for addresses and messages. The overall size is 69 x 30 mm with up to 8 lines of text and 32 characters per line. The DIY self inker for longer messages or contact details. The overall size is 69 x 10 mm with up to 2 lines of text and 31 characters per line. The largest self assembly set with up to 10 lines of text and 27 characters per line. 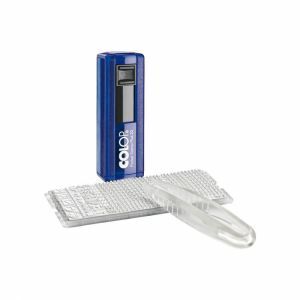 Very useful portable self inker with up to 4 lines of changeable text. Self inking DIY Dater with a 4 mm date and 2 lines of text. 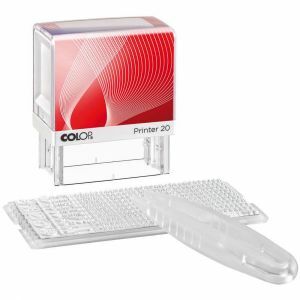 Self assembly Heavy duty Dater Self-inking, metal framed stamp for constant daily use. 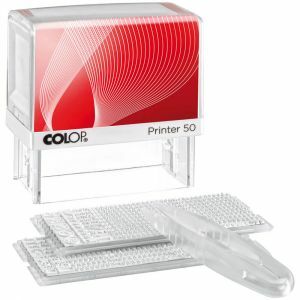 The overall size is 30 x 45 mm with up to 4 lines of text and 20 characters per line. 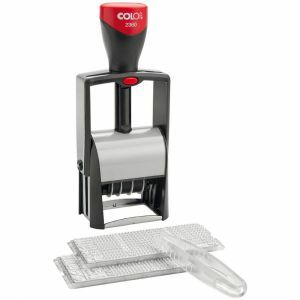 Self assembly Heavy duty Self-inking metal framed stamp for constant daily use. The overall size is 27 x 58 mm with up to 6 lines of text and 26 characters per line.